The Internet does love a good story of a bad mother. 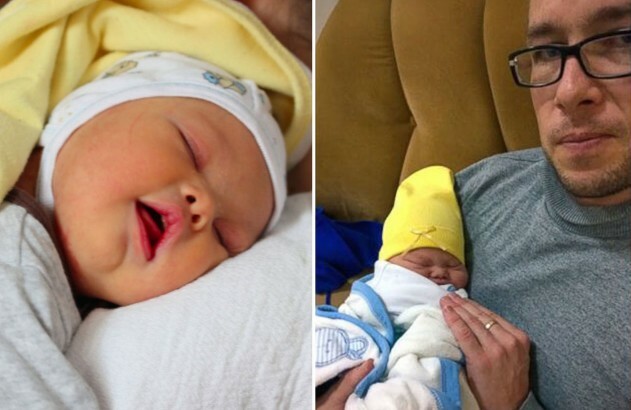 Social media is buzzing today with the story of Samuel Forrest, a dad living in Armenia who has opted to keep his newborn son with Down syndrome even though his wife has abandoned the child and is now seeking a divorce. To be sure, we would not be hearing this tale if the roles were reversed and dad had left the family. Nor would it be news if the parents had together agreed to give up the child at birth. It’s not so much that the world of Facebook cares about children with Down syndrome as we collectively love to salivate over the details of a mother who doesn’t fit the mold of martyr. As the mother of a boy with Down syndrome, I wish mom felt differently. But Armenia is a country where parents of disabled children are often forced to give up their children because they cannot provide the necessary nutrition, education, and healthcare. It is highly unlikely that the mother has seen many (if any) examples of happy families with disabled children—what she has known is children being surrendered or dying early due to lack of quality healthcare that many disabled children need. Moreover, Forrest says that the hospital immediately approached mom about giving up the child, cutting him out of the process. So I think of a mom, just after childbirth, without her partner, approached by hospital staff that announce (as they announced to dad) that there is “a big problem” with her baby and then offer a solution—put the child in an institution. I would love for mom to have kicked them out of the room and demanded her baby. But she didn’t, and the truth is, I might not have demanded the child either. We all like to think of ourselves as heroic figures, but the truth is that we mostly do what society expects us to do. Even in this case, the father’s very different reaction to the diagnosis is heavily rooted in what he knows—dad is from New Zealand, a place where many more resources are available for children with disabilities. So, if you want to be angry about this story, be angry at a world that devalues the disabled and leaves mothers alone in hospital rooms having to decide their entire future with a “yes” or a “no” to keeping their baby. Support legislation in the United States that mandates that hospitals provide accurate information to parents who have a child with Down syndrome. Question government policies that are increasingly cutting services to the disabled, making it more difficult for mothers to care for children they want. And for the mother in Armenia, have some compassion for what she must feel over the loss of her child and some humility to acknowledge that many of us, put in her position, would have chosen the same.